TOT-AL CARE programs are enriched with learning activities focusing on the needs of each age group from nurturing infant care, the specialized needs of toddler and pre-K development, to our school-age program and our New York State Certified full-day kindergarten. Our theme-based enriched learning program is flexible to meet the developmental needs of each child. The TOT-AL CARE curriculum promotes the skill level of each child, while presenting a challenge in a secure, comfortable manner respectful of their abilities. 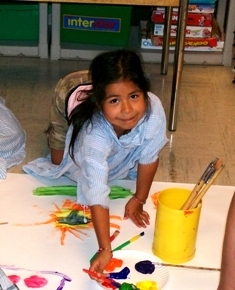 With encouragement to learn, each of our developmental programs prepares each child for the next step in their growth. TOT-AL CARE learning programs support and nurture self-esteem and respect for others. The socialization process is taught though emotional support and understanding each child's individual needs. 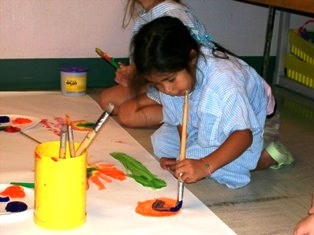 Creative play is encouraged through individual and group activities. Teacher interaction encourages children to be motivated and allowed to express their ideas through a wide variety of creative learning opportunities.